Is this a case of DPA needing refinement ahead of GDPR? A fly-tipper who dumped rubbish on a Devon farm has escaped punishment because the Driver and Vehicle Licensing Agency (DVLA) refused to release the culprit’s name to police on data protection grounds. The shocking incident was revealed by Newton Abbot MP Anne Marie Morris during a rural fly-tipping debate she sponsored in parliament last night. 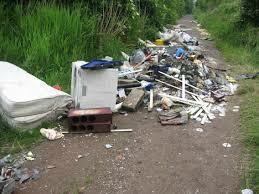 She said: “A constituent of mine with a large estate regularly finds people have been fly-tipping on it. “Once, while sorting through the rubbish, he found a receipt from a fast food drive-through which included a date and time stamp. “He and the local police managed to find the vehicle registration number, but when they went to the DVLA they were told it could not release the name because of data protection. “We need to consider better interagency working. It would certainly help if the DVLA were prepared to work with local authorities to identify the cars, drivers and owners. During her speech, Ms Morris suggested the Government look at scrapping tip charges and extending tip opening times to encourage people to dump their waste legally. She also demanded rubbish owners be held accountable when their litter was fly-tipped. “They ought to be required to ask for and see someone’s licence, and they should not pay for the rubbish to be taken away until they get some stamped receipt from the tip to say that it has actually been disposed of”, Ms Morris said. A DVLA spokesman said: “We have long-standing procedures for releasing information to local authorities for fly tipping investigations, but we have to ensure the release of information is lawful. 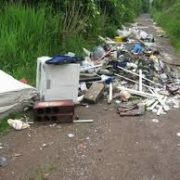 http://www.brownsword.com/wp-content/uploads/2017/12/flytipping.jpg 194 259 admin http://www.brownsword.com/wp-content/uploads/2019/03/bsg-logo-25-years.jpg admin2017-12-08 15:47:152017-12-08 15:47:15Is this a case of DPA needing refinement ahead of GDPR?